In my previous post, I touched on how to create a simple Azure Function and invoke it through a web request. In this post, I want to do something more interesting that has not yet been covered in any of the template provided. 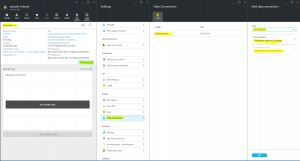 My objective is to insert a record into Sql Azure Database every time I receive a request. 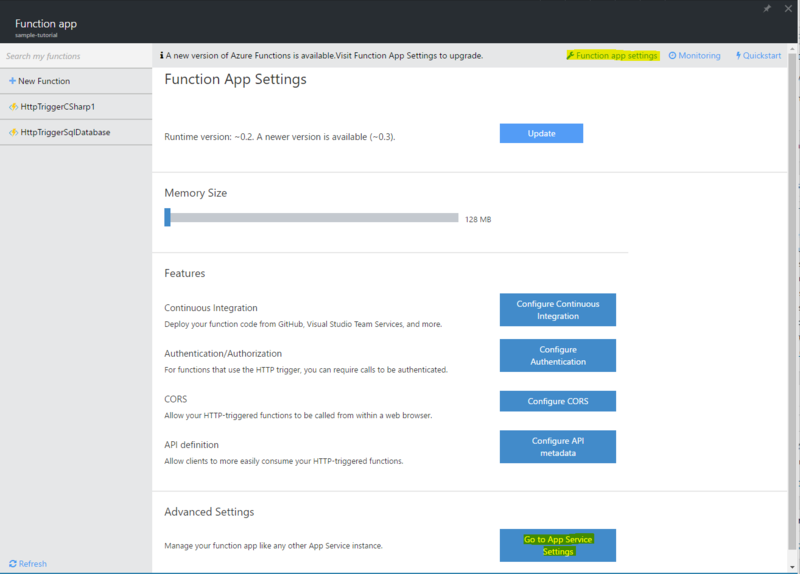 For this post, we are going to assume you already have Azure Sql database up and running and already have a function app created. 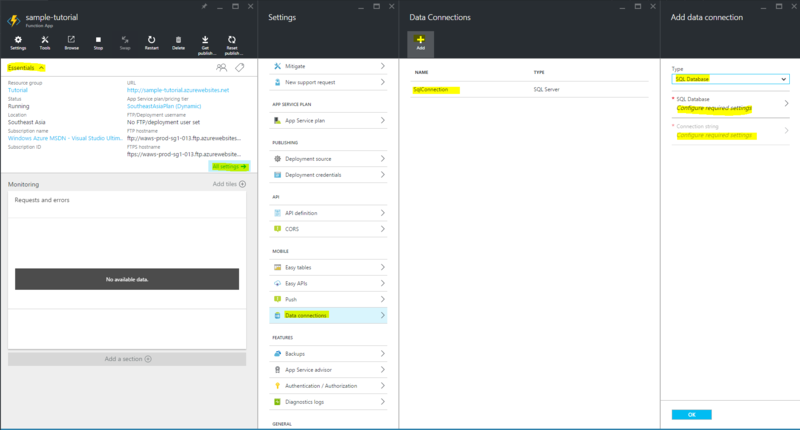 create an Azure Sql Database from the portal. 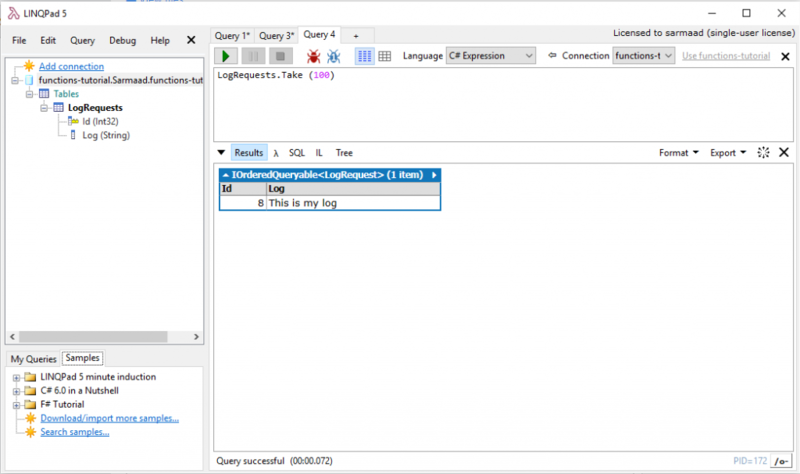 I used visual studio 2015 community to connect to sql database can created the new table. Click on the “+” sign to add new file, name the file “project.json” we are going to use this file to add all required nuget packages. copy and paste the json content bellow and hit save. you should start seeing the logs restoring all missing nuget packages, then compile the code. once you successfully added a connection called “SqlConnection“, close the views and navigate back to your function using the breadcrumbs. Click on your function named “HttpTriggerSqlDatabase”, copy the snippet bellow. Now save the code and ensure the logs shows the function compiled successfully. I used LinqPad to retrieve the record from the database to verify that my data was actually saved successfully. 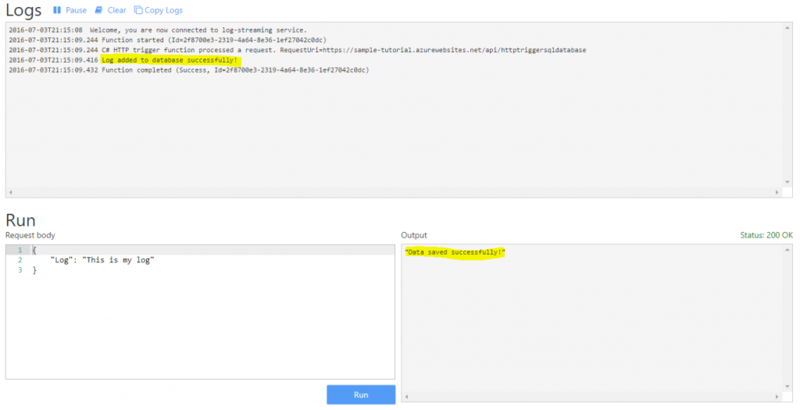 It was relatively easy to have my Azure Function connect to a database and insert a record triggered by a web request. Using nuget to download packages and reference them in the function is extremely useful, given that most of .Net framework and 3rd party are available as packages. This scenario gives us the opportunity to design solutions that store request’s data into a relational database which is a step closer to real business application’s requirement. In feature posts, we will take this a step further and emit events to trigger other Functions to perform other actions meaningful to the data received. 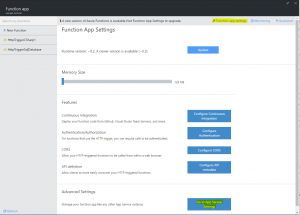 can i use azure function for automatic processing of azure analysis services which is exist in azure virtual machine ?